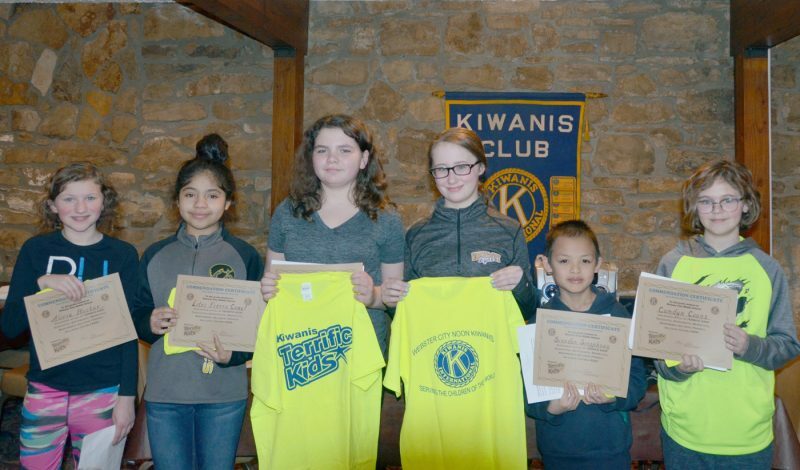 These Webster City Middle School 5th graders — Avery Teague, Brayden Burtnett, Kyzer Zinnel, Justin Callahan and Bria Wallerich — were the guests of the Noon Kiwanis December 4th, 2018. They introduced themselves and told about their families and pets and their favorite part of school. 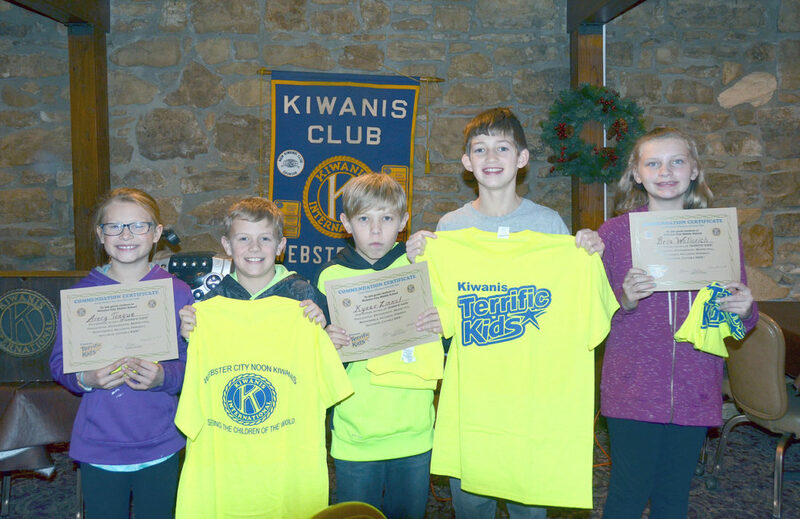 They participated in a trivia contest and won valuable prizes.